Managing the marketing for e-commerce sales is far more complicated and time-consuming than most people realize. Whether you’re purchasing advertising on Amazon’s advertising network or across several ad platforms on Google, Facebook, or Bing, the more it grows, the greater the challenge. Pretty soon, managing e-commerce marketing grows steadily larger until it’s a cumbersome aspect of the business. Also, employing someone to manage the marketing creates a single point of failure. Either they’re a star employee where the company will suffer should they choose to leave or their performance will lag behind what a dedicated, experienced team is capable of. 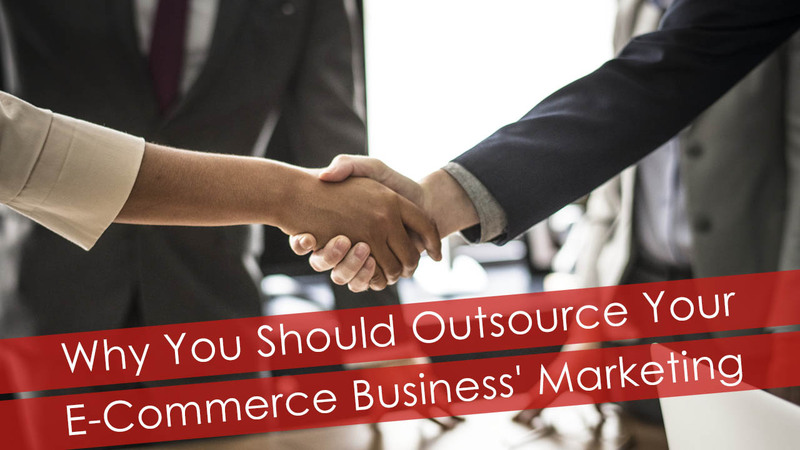 Here are a few reasons why you should outsource your e-commerce marketing. The ACoS is a vital metric for advertisers on Amazon. When seeking to promote your product, after taking account of manufacturing, packaging, shipping, Amazon’s fees, and other related costs, there’s only so much money left. While ACoS is calculated as the advertising spend divided by the sales revenue, that only tells part of the tale. All the other costs mentioned above also must come out of the revenue to create the pre-tax profit. Managing multiple ad campaigns across different product lines is very difficult when expanding quickly. Attention to details frequently falls away as staff cannot give the same attention to each product. However, when using a PPC agency for the management of your Amazon PPC spend, better control is achieved. This ensures greater profitability through competitive product marketing while trimming budgets on products in less competitive markets to stretch the dollar. Managing an advertising campaign internally is a daily distraction. Being a product-based company, not an advertising agency, it’s unlikely that people on the team have marketing experience. And even if someone is hired to manage all the PPC campaigns, who will manage them? It needs to be someone with the experience to judge their performance or offer guidance. By focusing on the operational side and new product development, staff stick to what they do best. Management can then outsource the PPC campaign management to specialists with specific experience of Amazon PPC advertising, as well as working with other ad networks too. Knowledge accumulates over time. It then informs what’s already been learned, leading to a greater understanding. With a PPC agency, not only is the total number of years of experience in PPC advertising impressive in its own right, but the wide array of real-world experience is recent too. Insights gleaned when handling the Amazon PPC campaigns for other clients are often transferable to your account. Rather than going through trial and error alone, shortcut the process to enjoy pay-per-click ad campaigns that perform better and at a low cost too. There’s an enormous difference between managing a campaign for 1-2 products and dealing with 100’s of products across multiple product categories on a sales platform like Amazon. While it’s possible to take advantage of automatic advertising, it’s necessary to use negative keywords to screen out automatically selected, unfavorable keywords that aren’t profitable. Being organized across many products and sales categories make this very difficult unless the team is extremely disciplined in their practiced approach. Through a PPC agency, it’s paramount that they have robust systems in place capable of planning, executing, and tracking campaigns of any size. These get updated and refined with each iteration, which proves highly effective when managing 100’s of products and 1,000’s of keywords used for advertising purposes. Outsourcing e-commerce marketing makes sense, as you can get the right expertise along with their hard-won experience. Trying to go it alone quickly becomes unmanageable as the number of products expands into the double-digits. Get help when you need it.